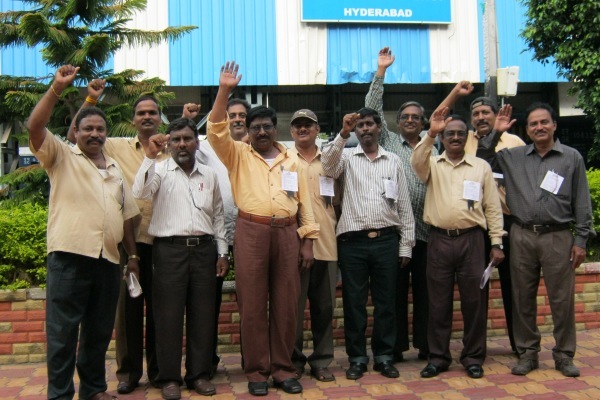 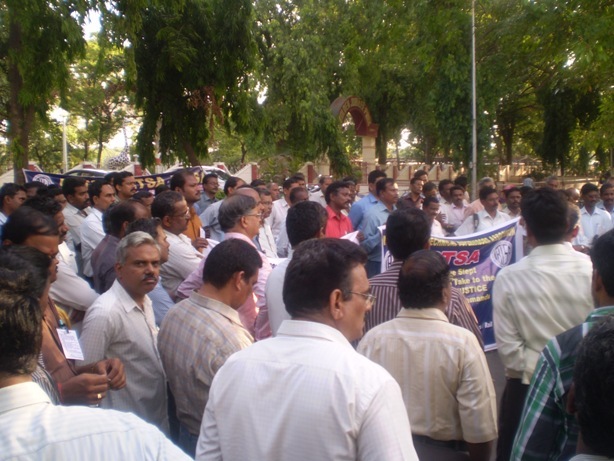 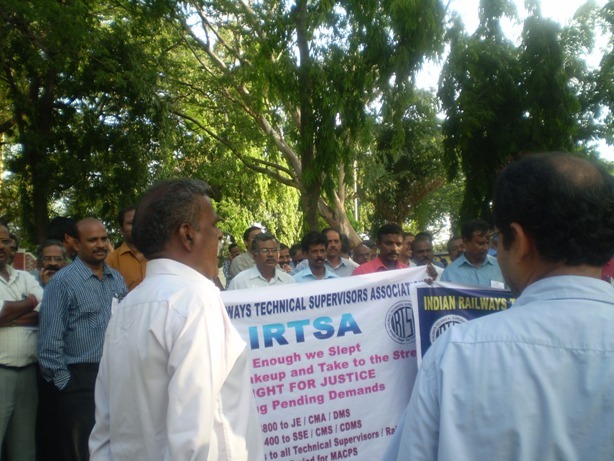 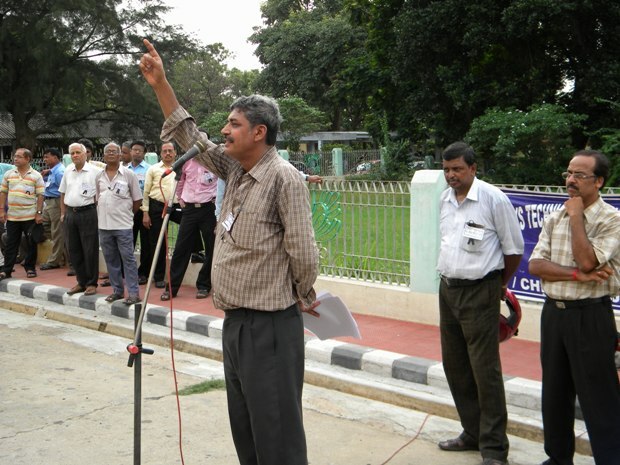 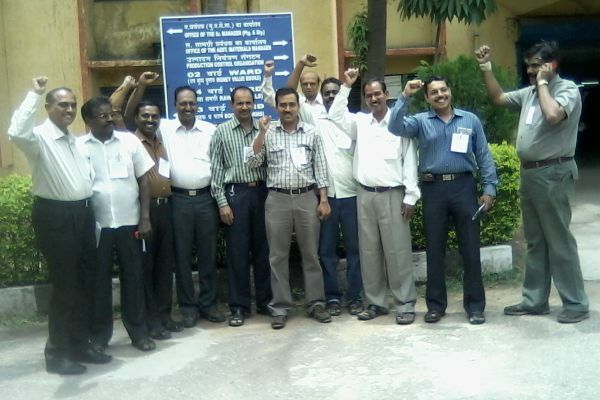 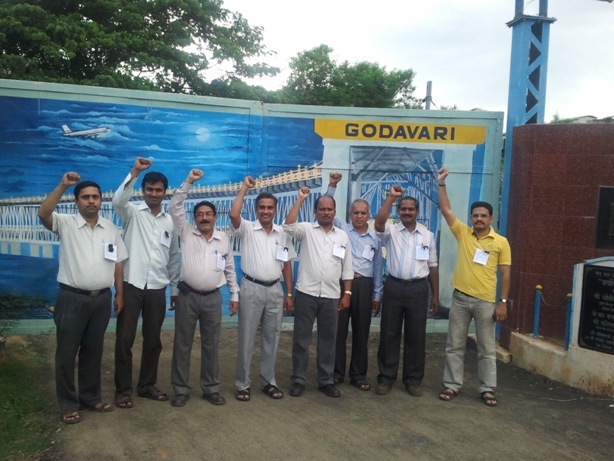 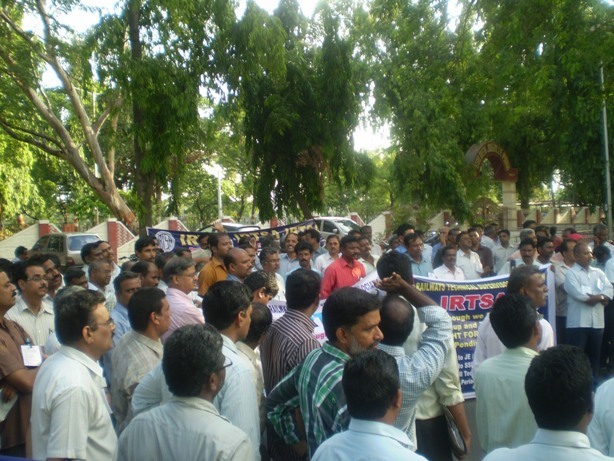 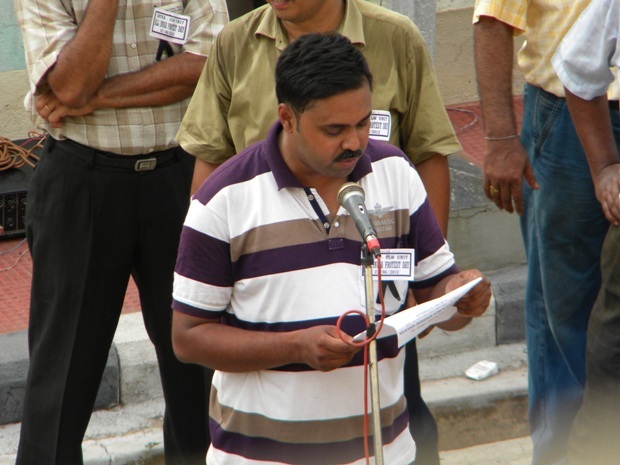 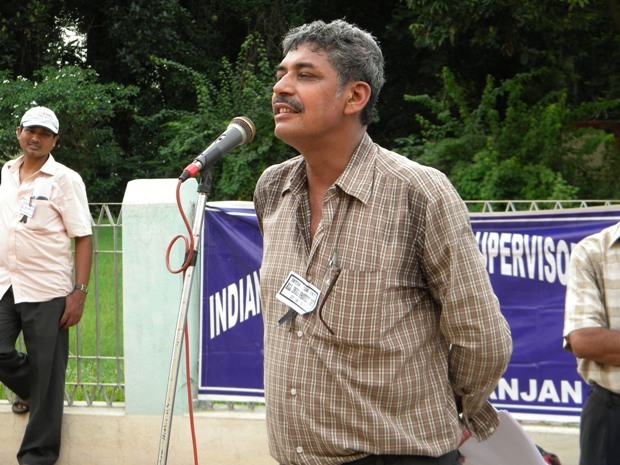 IRTSA CLW Unit observed protest day on 27-06-2012. 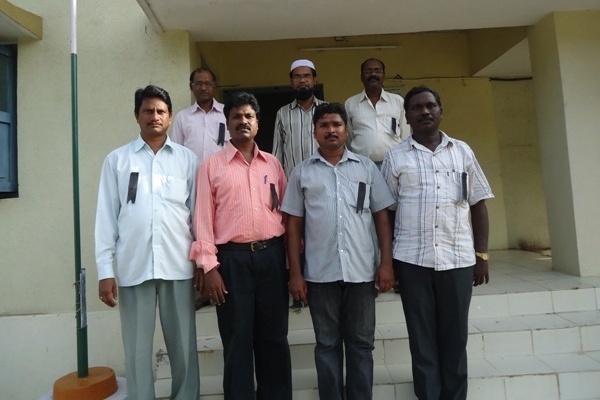 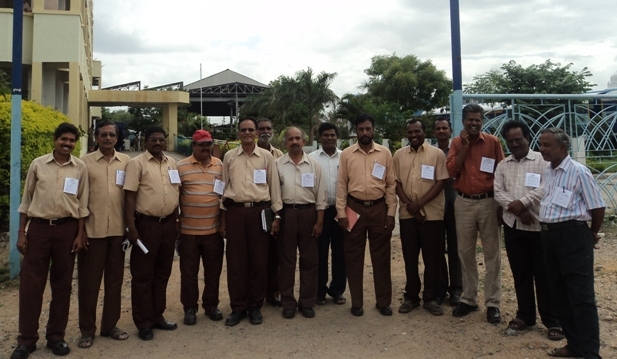 All the technical supervisors wore black badge all through their duty hours. 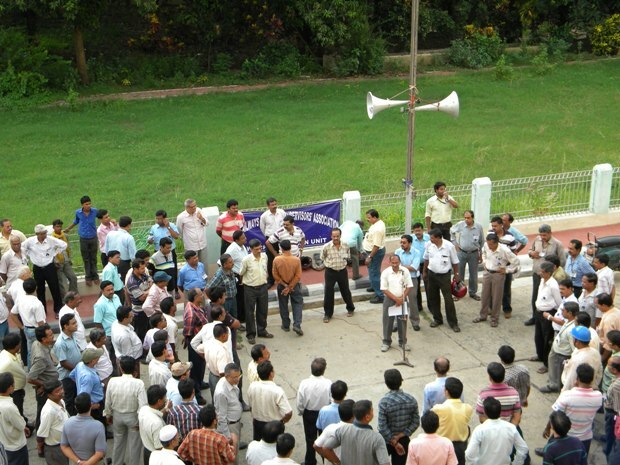 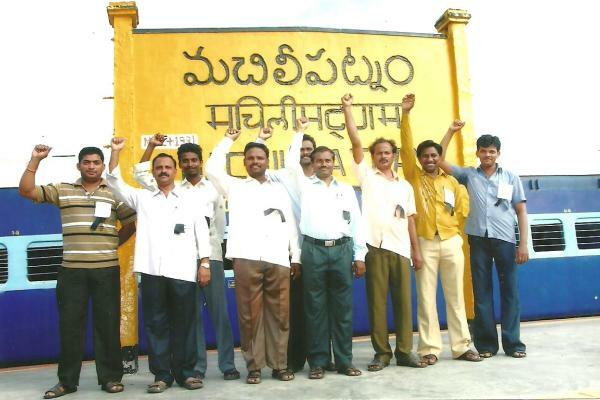 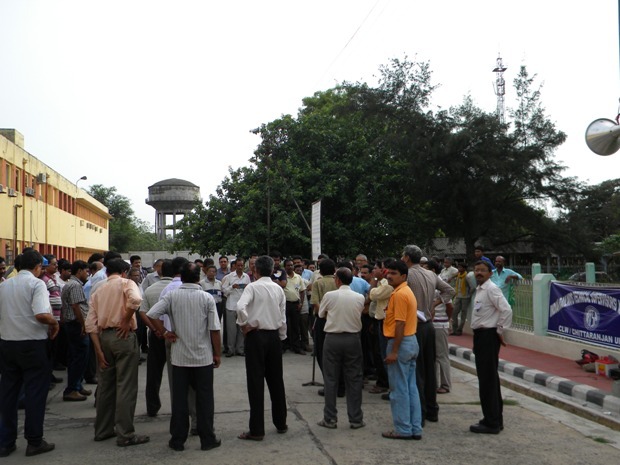 A demonstration was organised in front of CLW Works Office at 16:30 hours. 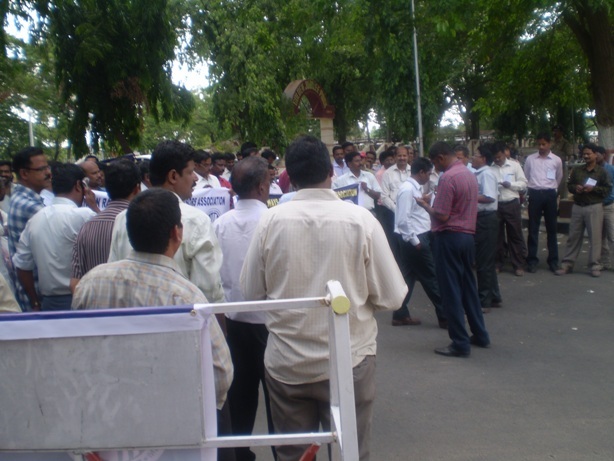 Around 200 Technical Supervisors attended the demonstration. 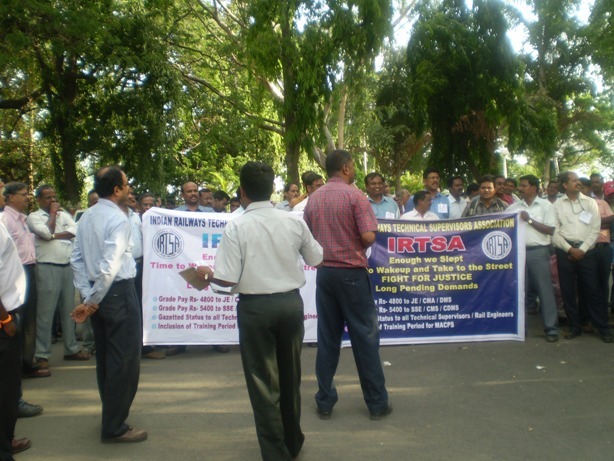 Prior to that a mass awareness program was organised through postering between 21-06-2012 and 23-06-2012. 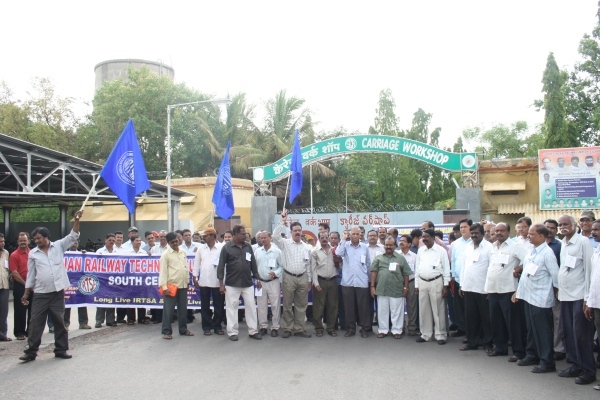 Main demands and other local burning problems pertaining to Technical Supervisors were highlighted and the resolution was adopted at the end of the meeting. 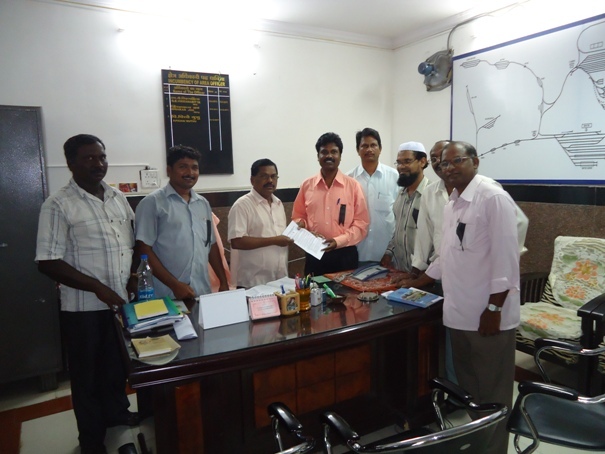 A copy of resolution was handed over to CME/Loco/CLW/CRJ. 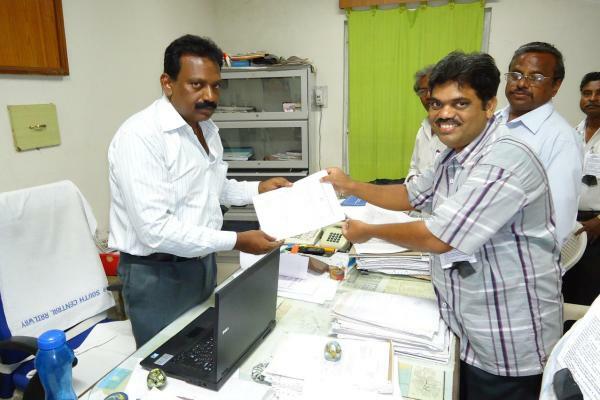 Other copies are sent to the authorities by post. 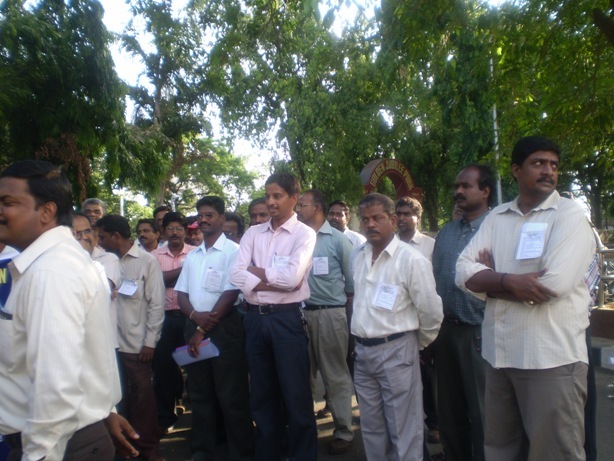 Photographs of demonstration are attached. 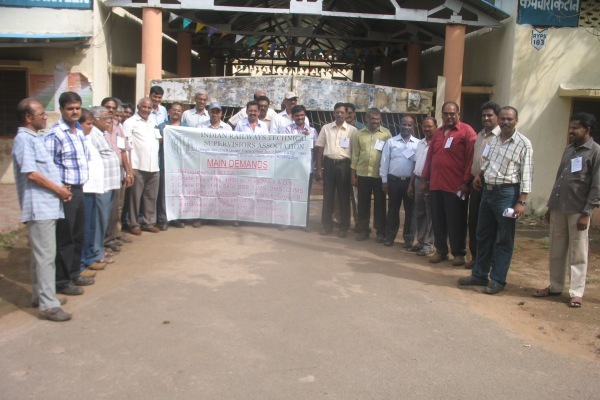 Main demands and other local burning problems pertaining to Technical Supervisors were highlighted and the resolution was adopted at the end of the meeting. 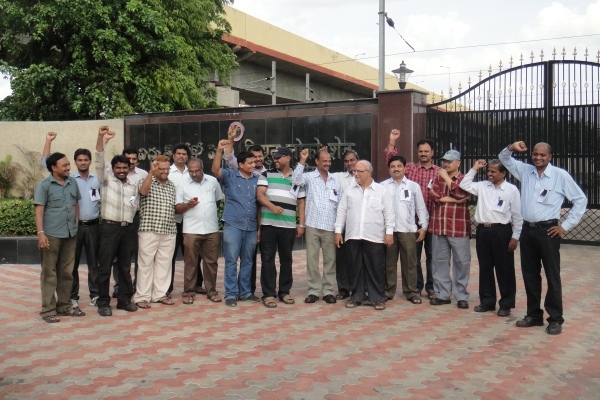 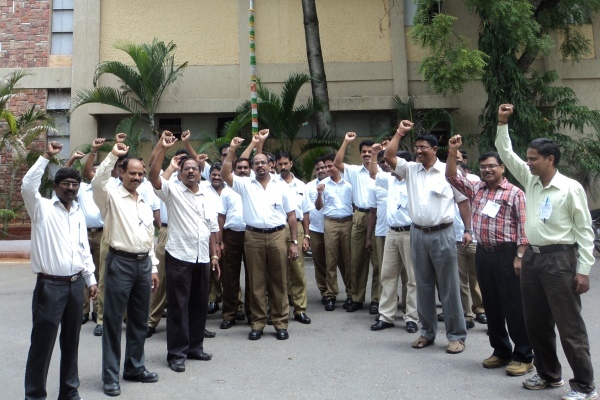 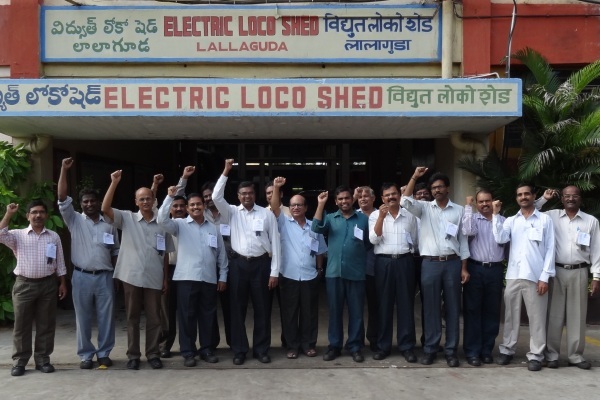 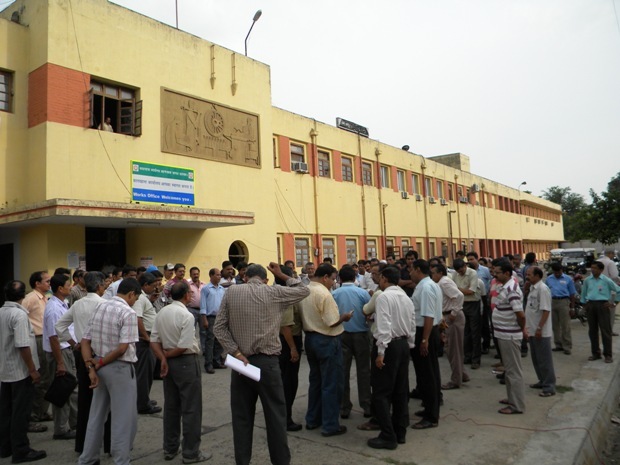 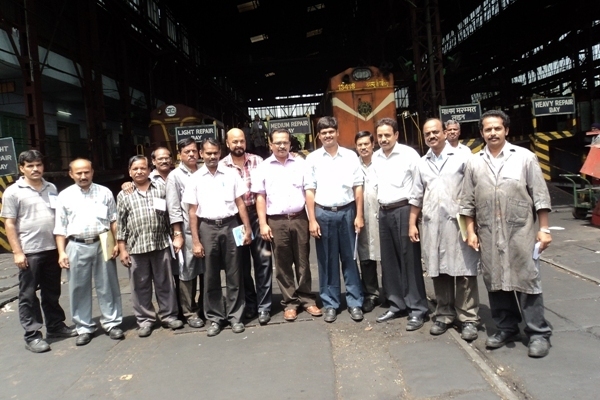 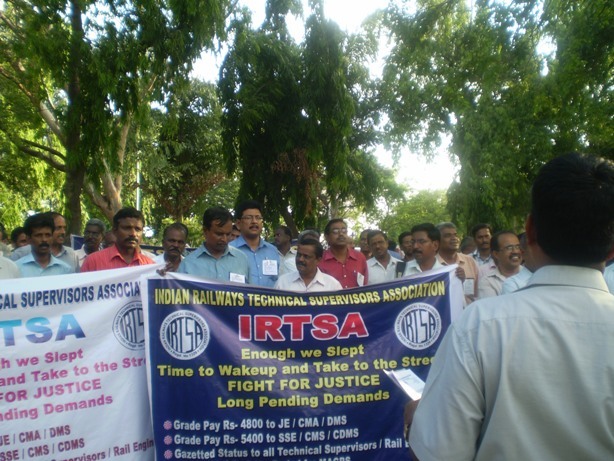 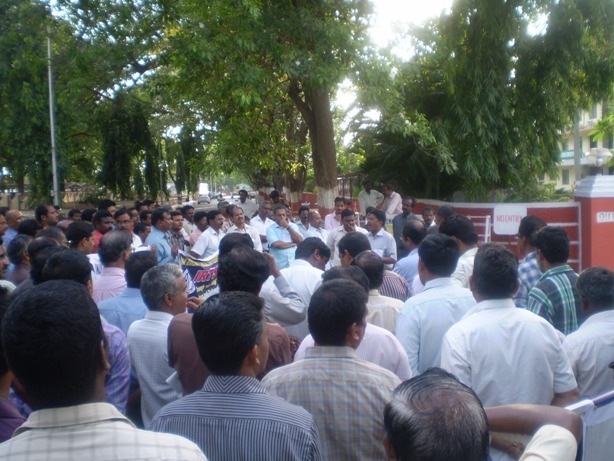 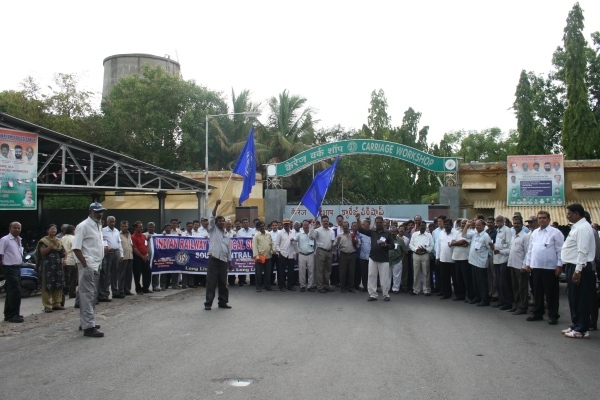 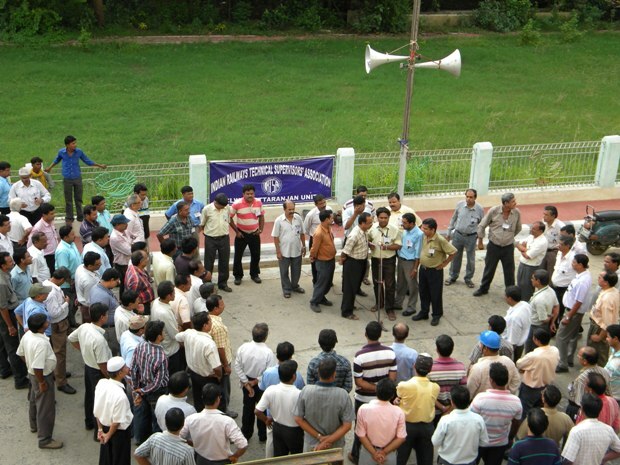 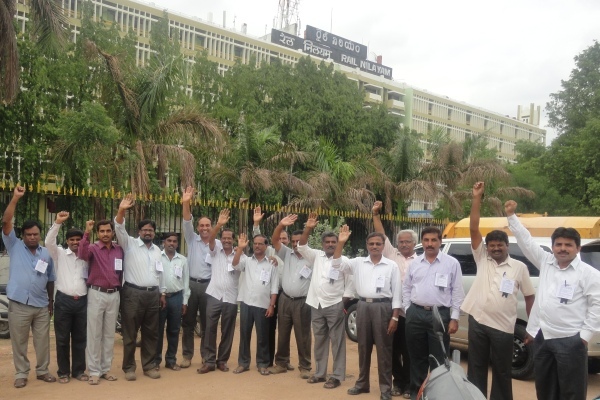 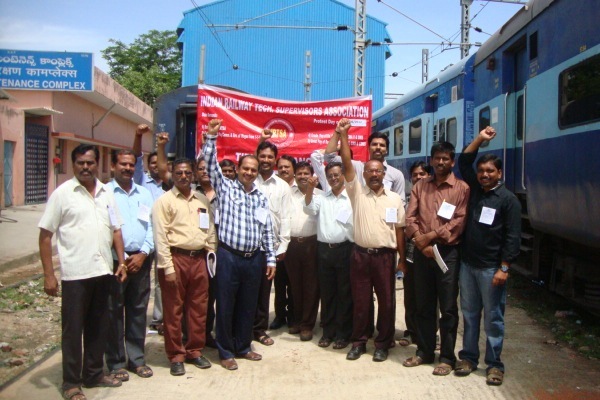 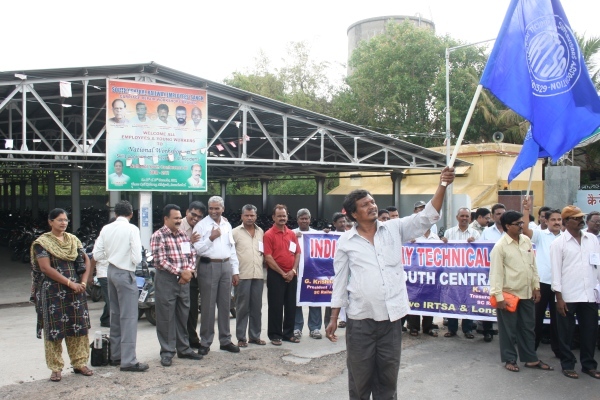 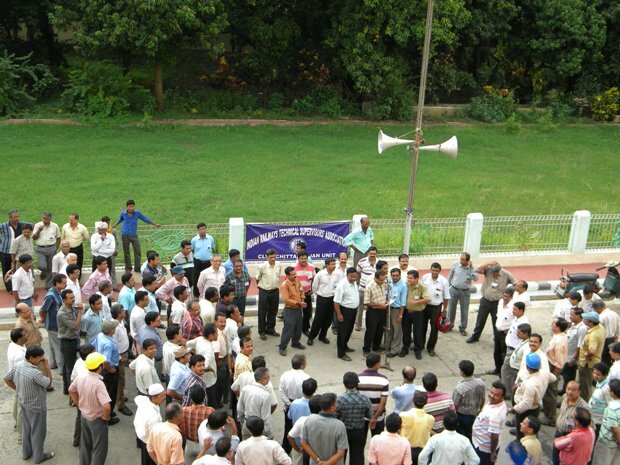 ICF Zone of IRTSA and C&W Works/PER and Loco Works/PER units of Southern Railway observed protest day on 29.06.2012. 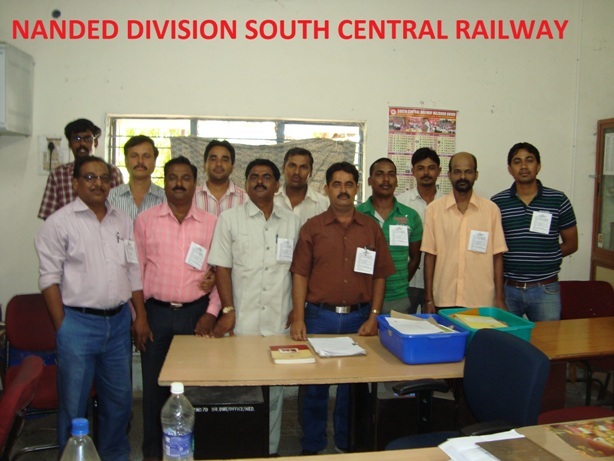 Technical Supervisors, CMT Engineers, Design & Drawing Engineers, Store Engineers and IT Engineers were participated in large number. 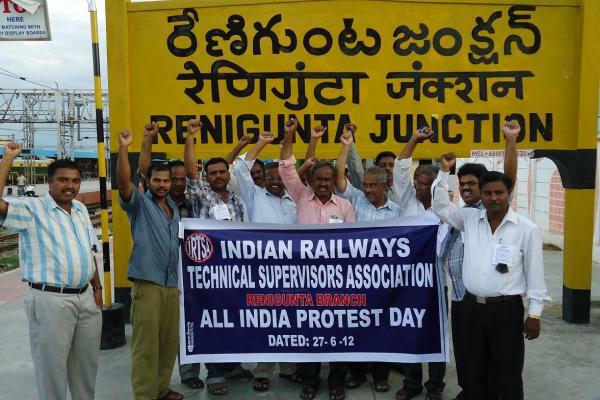 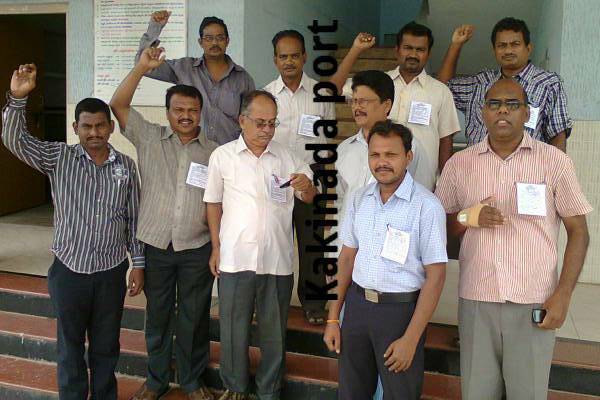 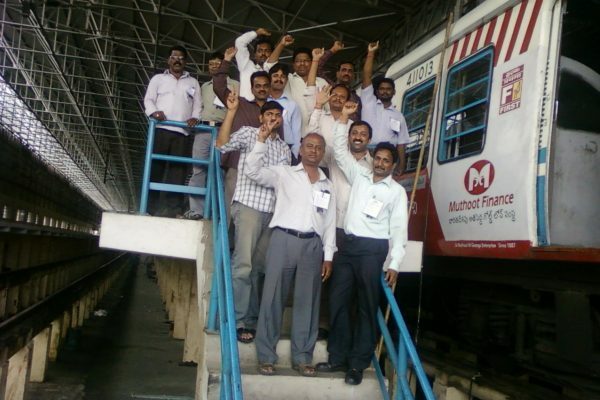 Rail Engineers wore protest card during the day. 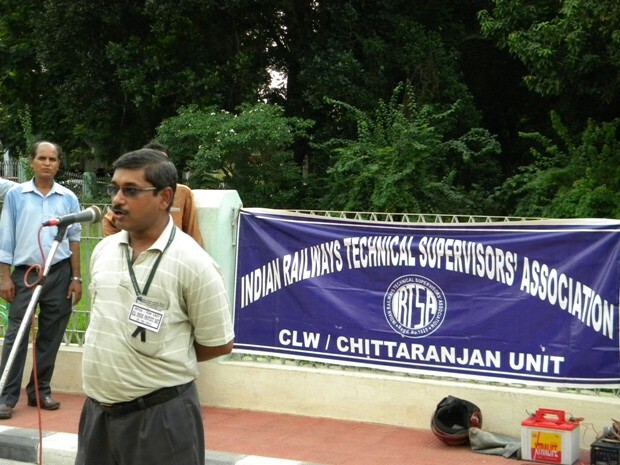 In the evening large number of Technical Supervisors / Rail Engineers participated in the demonstration held in front of General Manager’s office, ICF. 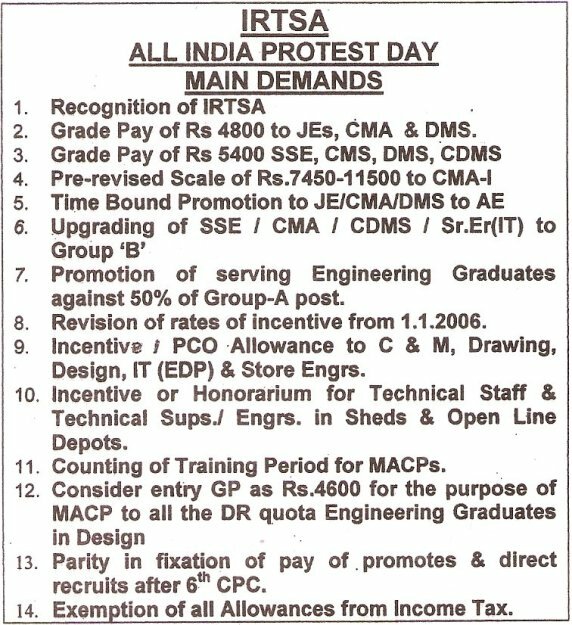 Slogans on the genuine demands of the category were raised in the demonstration. 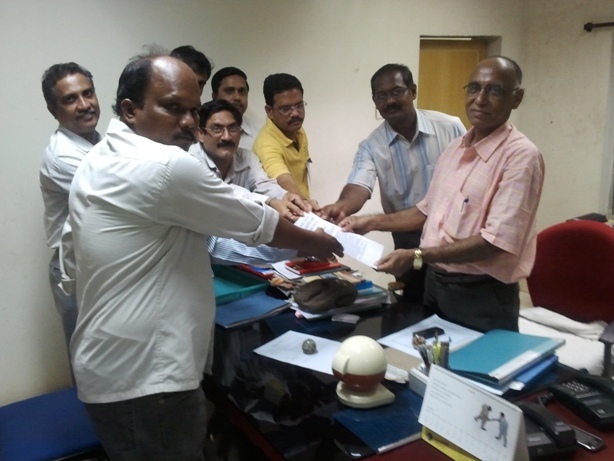 At the end of the demonstration a memorandum on the resolution passed on the mass demonstration was handed over to General Manager, ICF and to CME/ICF. 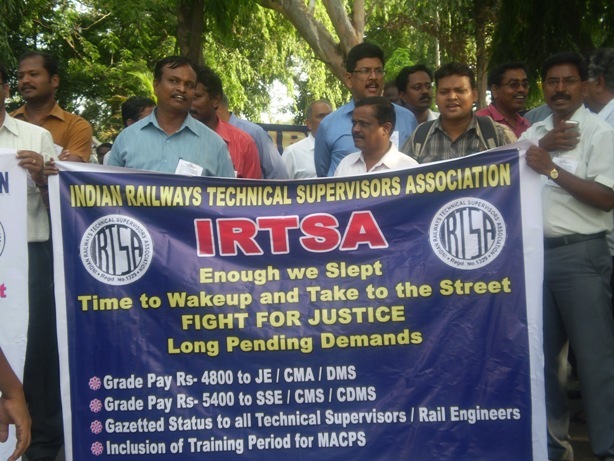 K.V.Ramesh and the office bearers of IRTSA, briefly explained the main all India demands of IRTSA and the need for expedite approval of Supervisors Institute at ICF and grant of honorarium to the senior supervisors who attended duty on Sundays and holidays.